I get into these moods when I crave to make a pot of chili. The thing about chili is that there’s no way to make just a little. Just by its very nature, chili is a big-pot deal. I usually put a lot of it in the freezer and it really comes in handy to have. This week, though, I did something a little different. 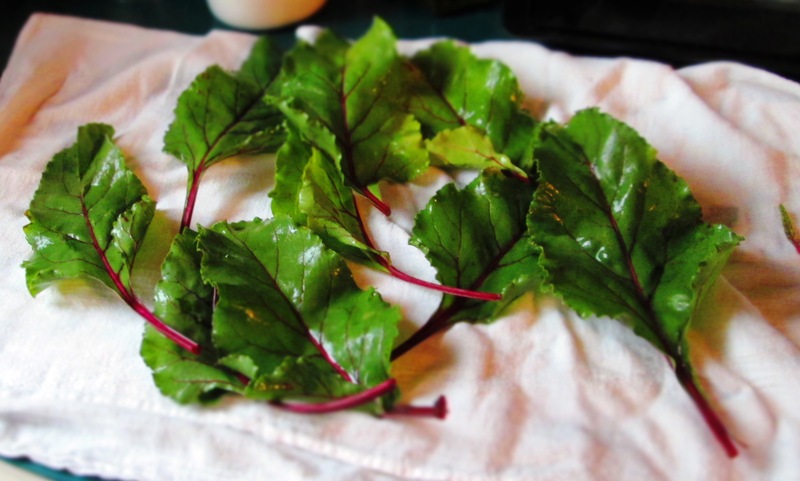 I picked up a bunch of beets at the Greenmarket and it had some beautiful leaves attached. Normally, I would sauté the greens in garlic and olive oil (my favorite and go-to way to cook greens), but I wanted to do something different with those, too. So, I decided to do a casserole, or what Italians call a timbale—a dish that is formed in some sort of mold shape. 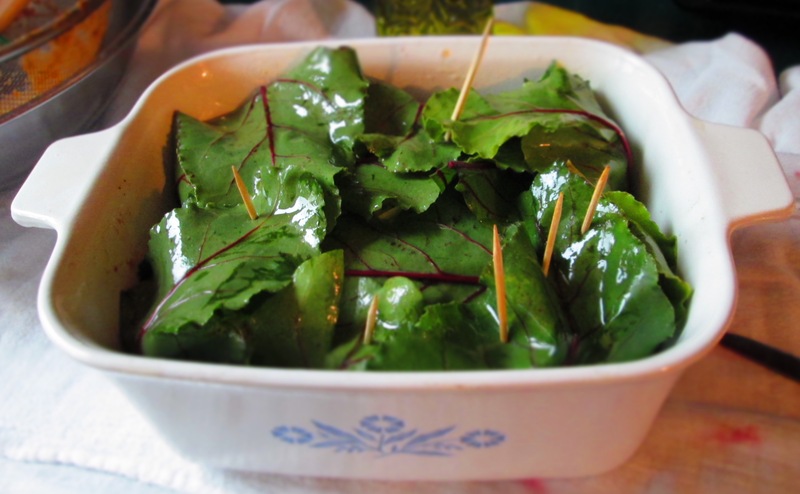 I used the beet leaves to wrap the chili in a small casserole dish (a 40-year-old cornflower Corningware! ), added some cheese, and voilà. My chili has tempeh in it for extra protein and texture. 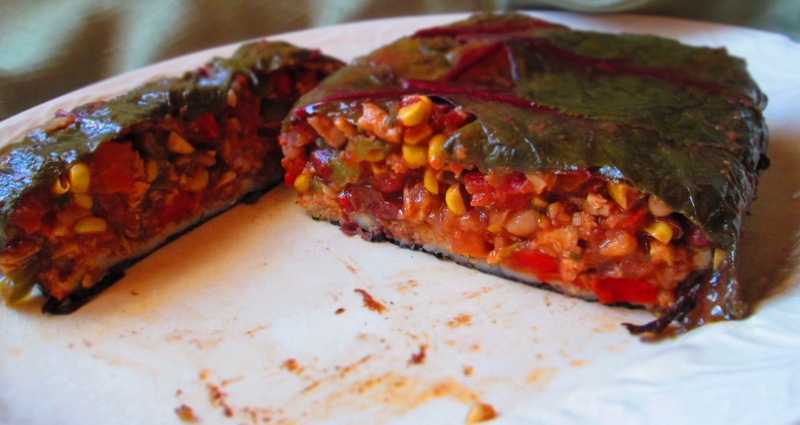 Tempeh adds a meatiness to chili that makes it appealing to meat-lovers as well. You can either dice, chop, or crumble it, according to your preference. Crumbling it gives it a chopped-meat texture, but I prefer a small dice. It’s important to drain the chili before putting it into the casserole; otherwise, there will be too much liquid. Also, I used homemade corn stock (which I also keep in the freezer), which gave it a fabulous flavor, but any vegetable stock will do. Make the chili. Heat the oil in a larger pot. Add the tempeh and sauté, stirring often, until browned on all sides. Remove with a slotted spoon and set aside. Add the onions and a pinch of salt and sauté until soft and translucent (if the pot is completely dry, add a bit more oil). Add the garlic and sauté a minute. 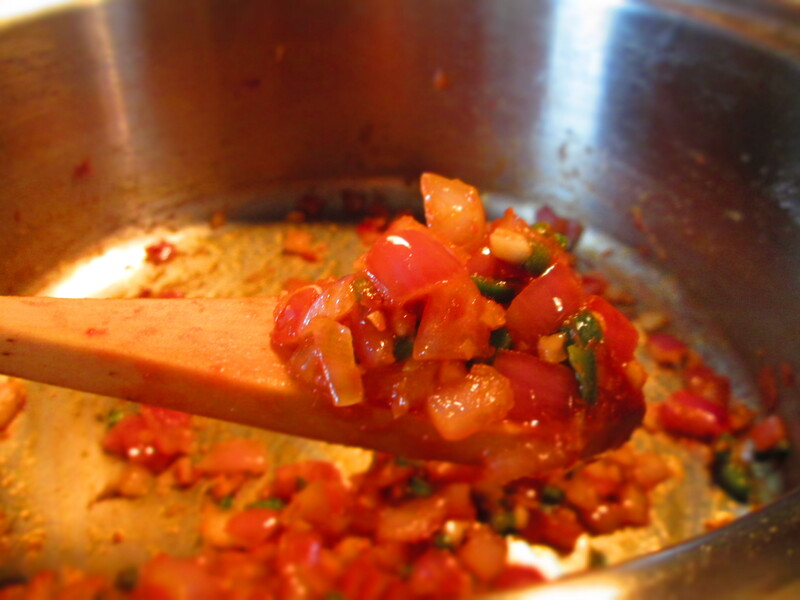 Make a space in the pot and add the tomato paste. Begin stirring it in until it’s incorporated into the onions. 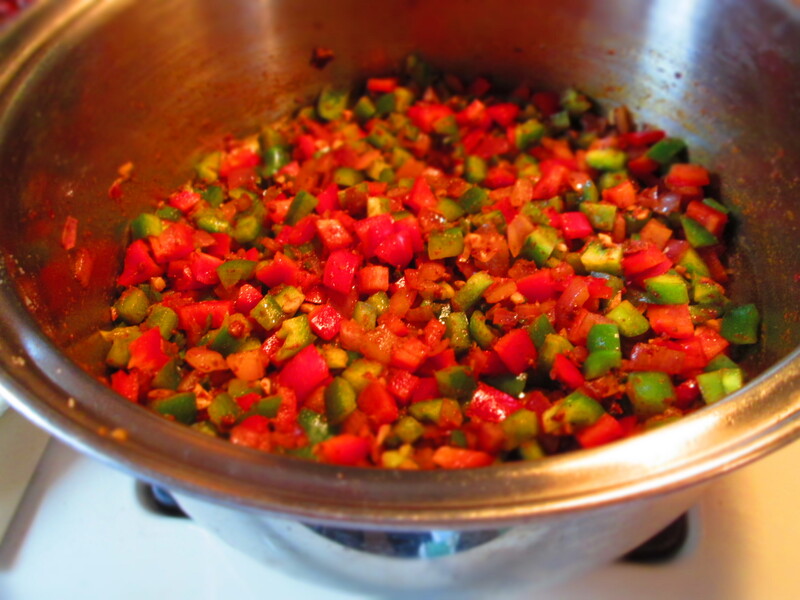 Add the red, green, and jalapeno peppers and carrots and continue sautéing until soft. 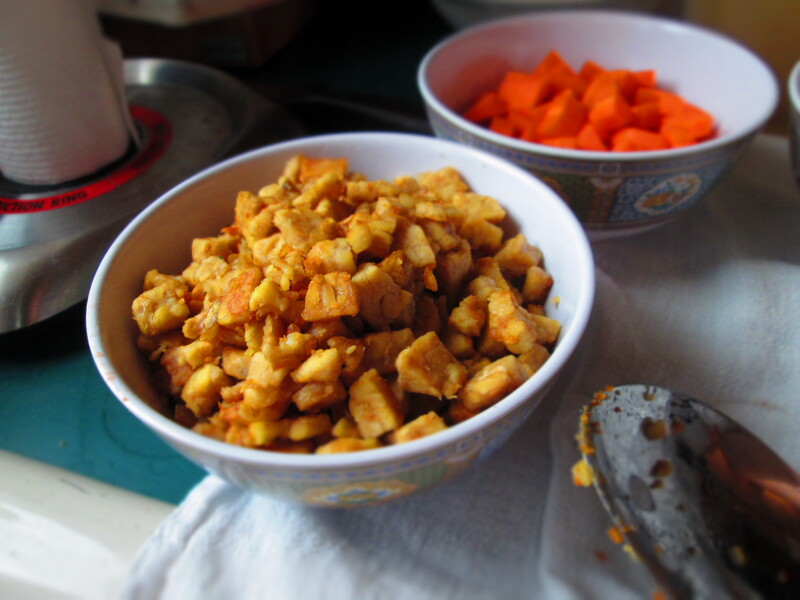 Stir in the tempeh, chili powder, and cumin and cook another 2 minutes, stirring frequently. 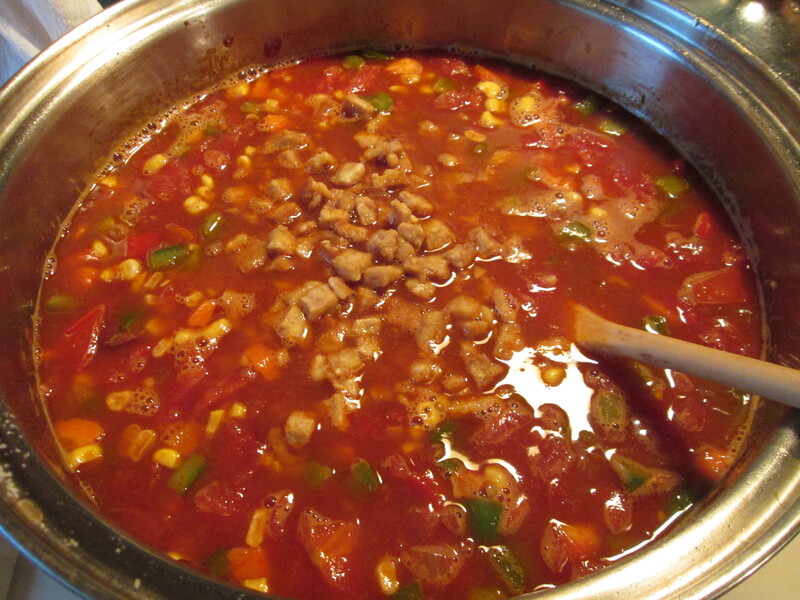 Add the tomatoes, beans, corn, and broth and bring to a boil. Lower the heat and simmer, partially covered, about 30 minutes or until thickened. Stir in cilantro. Take about 3 cups and set aside. Store the rest in the refrigerator or freezer. 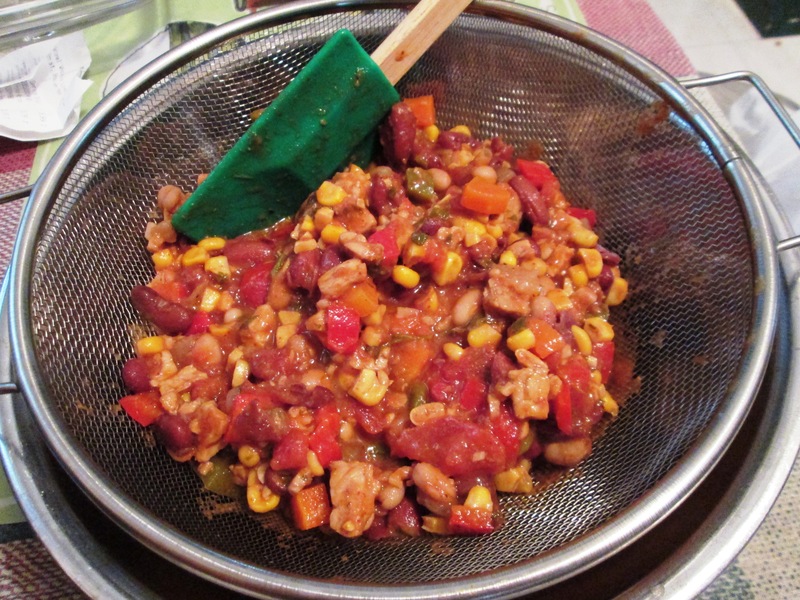 Place the 3 cups chili in a strainer set over a bowl and let drain for at least half an hour. Stir occasionally. 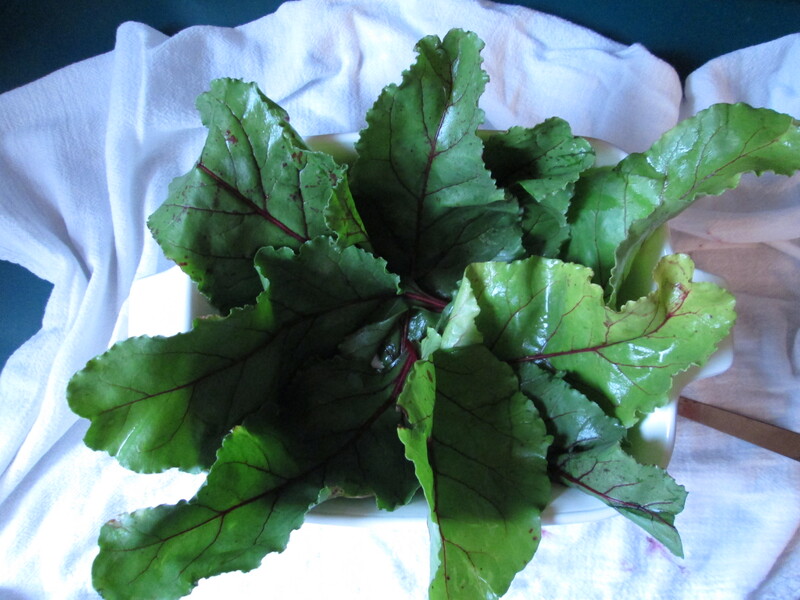 Meanwhile, place the beet greens in a large bowl filled with cold water. Swish them around then let sit for 15 minutes. Scoop the leaves out and transfer to another bowl or a clean towel. Pour out the water and rinse out the bowl. Place the leaves back in and fill with water again and let sit another 15 minutes. Scoop them out and lay out on a clean cloth or paper towels. Pat them dry. Pick out the largest ones. 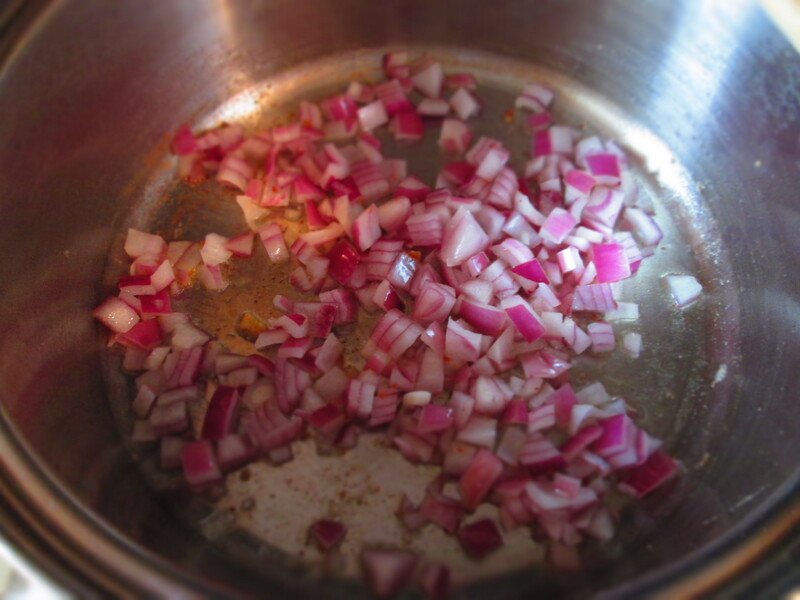 Brush the inside of a 1- or 1½-quart casserole dish with oil. Line it with beet greens so that the greens hang out over the edges. Fill with drained chili. You may have to hold the leaves in place with one hand while you scoop with the other. With your fingertips, oil the leaves. This is important to do because otherwise the leaves will dry out and get crispy in the oven. Fold the leaves over to cover the top. 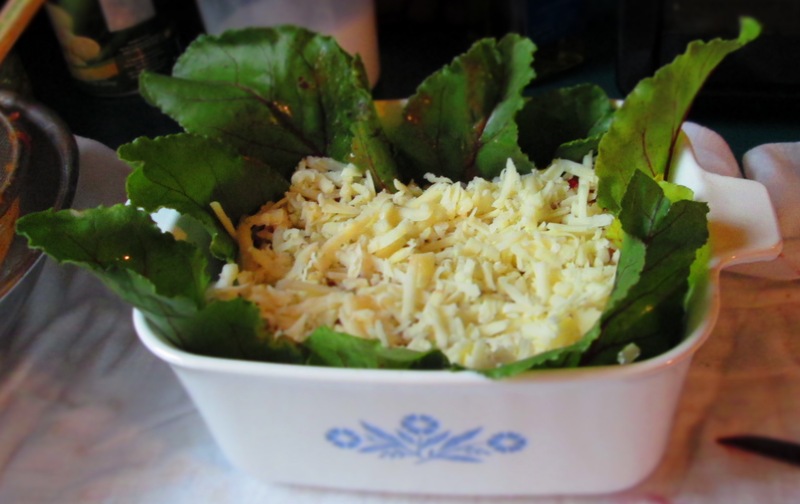 If necessary, lay additional leaves across the top of the cheese (make sure those are oiled as well). If the leaves don’t want to stay down, insert toothpicks where needed. Cover the top with lid or aluminum foil and bake 20 minutes. Remove foil and bake another 20 minutes or until liquid had dried up. Remove toothpicks. 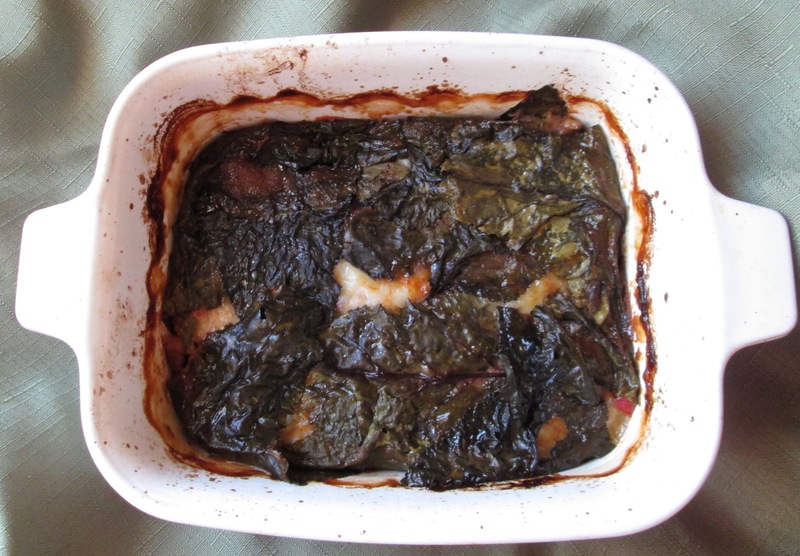 Serve in casserole dish and scoop out, or invert onto a platter. 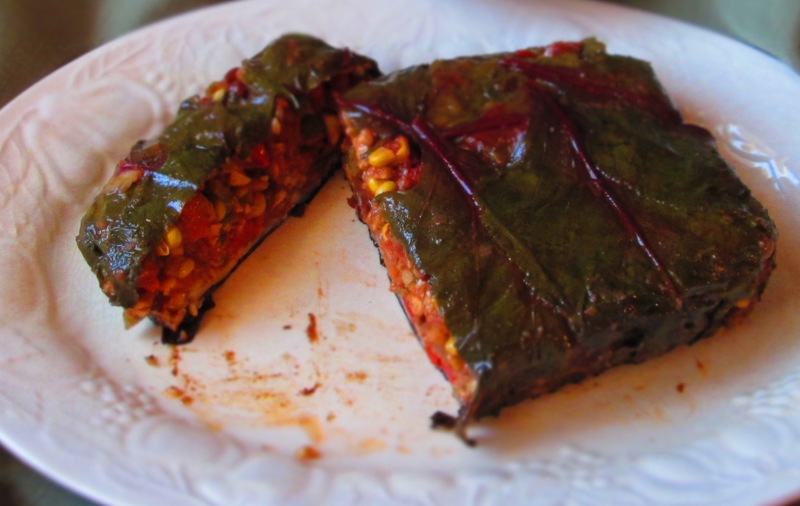 Categories: Experiments, Healthy eating, Recipes, Savory Cooking, Uncategorized, Vegan, Vegetables, Vegetarian | Tags: beet greens, casserole, chili, tempeh, vegetarian | Permalink.